If you want to create a fencing row around the edge of the garden that will keep children and pets in the garden without cutting off the outside world, then look no further than this rough sawn 4ft x 6ft (HxW) Picket Garden Fence Panel. This fence has been made using ethically sourced timber that has been dip treated; this ensures a product that is durable. We make the picket fencing by fitting panels to a wooden rail with gaps left in between; this type of constructions boasts a rigid structure that will comfortably withstand poor weather. We have blended a mixture of classic aesthetics and modern day craftsmanship during the construction of this picket fencing; the end result is a charming fence panel that will look great in the garden. 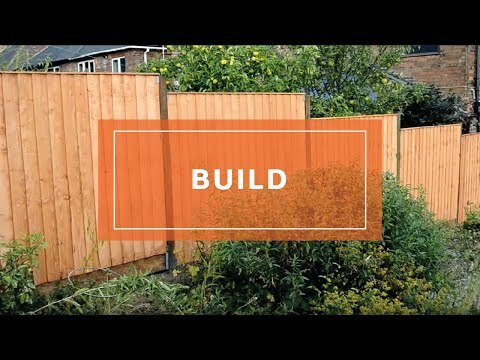 This fencing is well suited to creating a border around garden features such as sitting out areas or ponds, the added benefit is that the fencing won’t intrude on the rest of the garden. We have dip treated this wooden panel in our factory, this helps to prevent weather damage. We supply this fencing panel with a 10 year anti-rot guarantee.